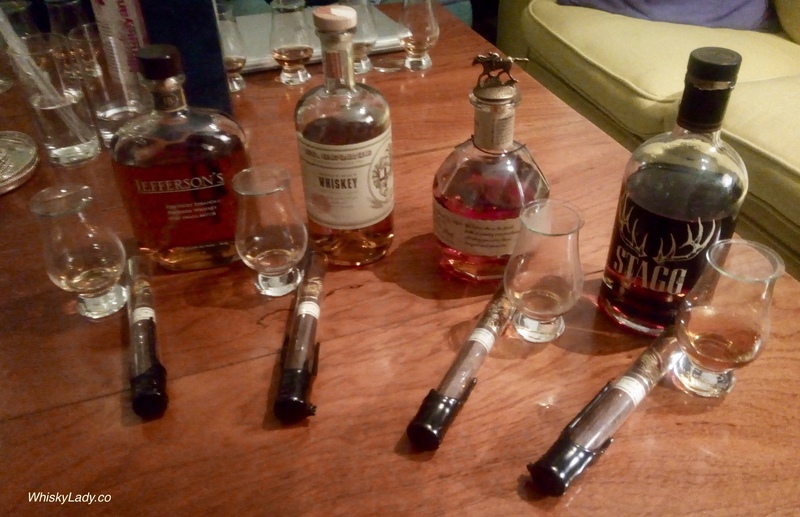 Our Bombay Malt & Cigar (BMC) gents are definitely going beyond the borders of Scottish Single Malts… the latest in this flirting with other drams was an evening devoted to bourbon… with an American single malt whiskey thrown in for good measure! So what did we sample? You can also find more North American whiskies in the “US & Canada” page! This entry was posted in American, Beyond Scotland and tagged Blanton's, Bourbon, Jefferson's, St George, Stagg's by Carissa Hickling. Bookmark the permalink.